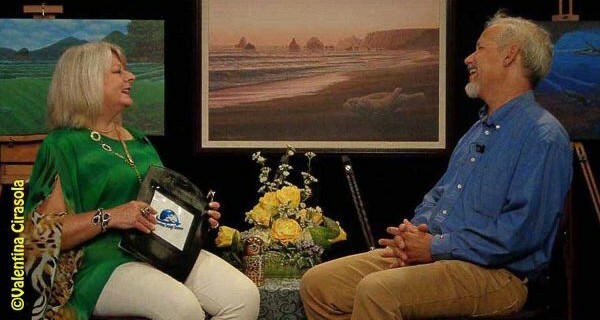 Last week, I had the pleasure of having a conversation with a fantastic guest in my TV show: In The Wild. Edward Rooks is an award winner naturalist painter of wildlife and this below is one of his painting he brought on stage. It looks like a photograph, doesn’t it? I get lost in his paintings, they are so detailed to draw me in and allow me to fantasize. Edward grew up on the Caribbean island nation of Trinidad and Tobago. He graduated at Syracuse University with a BFA in illustration. 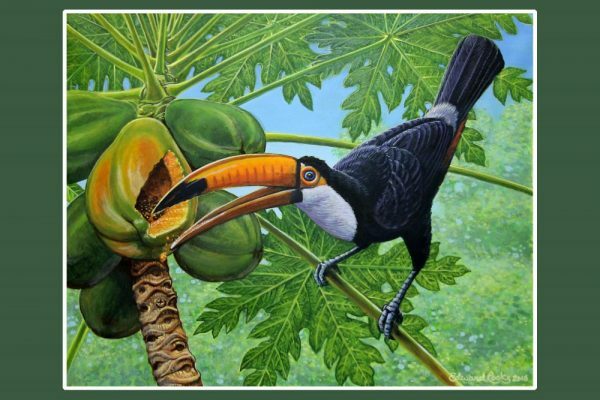 He worked at the Asa Wright Nature Centre in Trinidad, moved to the US to the city of San Jose, California in 1988. 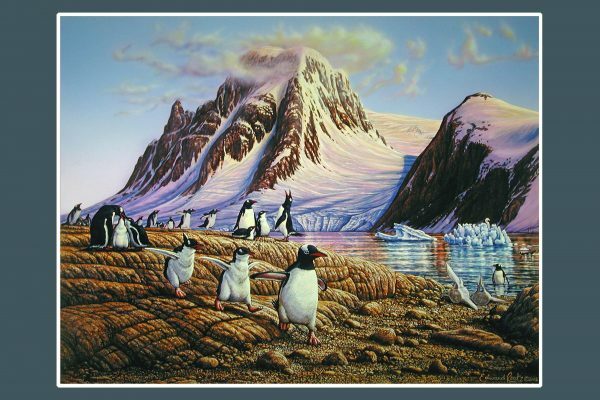 He works as a freelance wildlife artist painting landscapes and wildlife with acrylics, teaches drawing workshops and does illustrations for books and magazines. During the show, I asked Edwards how he keep animals steel long enough to paint them. Well, the question might sound strange, maybe it was a stupid one, but I have never attempted to paint animals, I only know that to paint a portrait a live model must be still for hours, I though painting animals required a pose. I thought maybe he uses dead stuffed animals. Oops, I screwed up! The answer was he takes lot of photographs, goes to museums to research, relies on internet pictures and his wife, who is an insect scientist, consults with him on various details of wild animals. Who knew? One of the questions I asked to Mr. Edward Rooks was where in the home he suggests placing his paintings and of course the answer was anywhere. 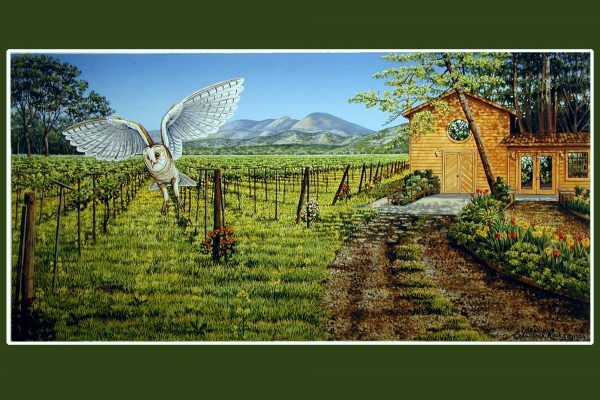 His paintings are peaceful and colorful, even in the bathroom they will contribute to relaxation. I hope Edward will create some fabrics for interior with some of his most vibrant paintings, as I suggested. 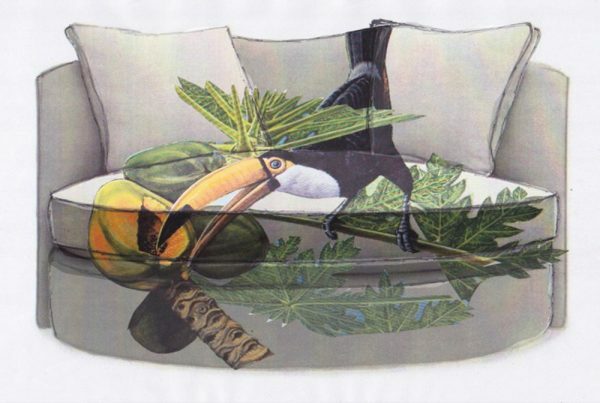 I can already see a beautiful cuddler chair, or a tub chair covered with a Toucan. This is my version, I had fun imagining this cuddler. If you want to see the show In The Wild , click the link .